Ian Samson and Paul Traina are our latest Featured Speakers! 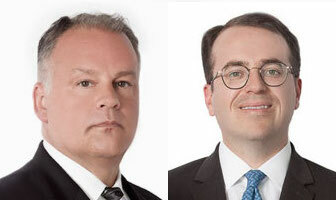 Our latest Featured Speakers are Ian Samson and Paul Traina of Stalwart Law Group! Ian Samson is an experienced litigator and trial lawyer who will speak at our upcoming Mastering the Deposition seminar in Los Angeles, on February 23rd, 2018. Ian first spoke for us back in 2016 for Federal Court Boot Camp and has been a repeat speaker for both federal and superior court boot camps since. Seminar attendees rave about his insight, clear examples, and knowledgeability. Ian represents clients in catastrophic injury matters, whistleblower litigation, class actions, professional liability cases, and commercial litigation. Innovative, tireless, and always willing to go the extra mile for his clients, he has gone toe-to-toe with some of the most highly-regarded law firms in the nation. Equally comfortable arguing a specific point of law to a federal court judge as he is explaining the big picture to a state court jury, he uses every aspect of his experience to get the best possible result for his clients. Ian is a member of the Consumer Attorneys Association of Los Angeles, Consumer Attorneys of California, and Public Justice. 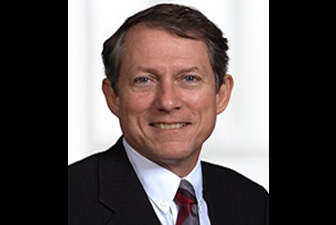 And Paul Traina, an experienced, fiercely competitive litigator and trial lawyer, will also speak at our upcoming Mastering the Deposition seminar. Paul first spoke for us a while back at our Wage & Hour Class Action seminar, and has returned to speak at many of our litigation related seminars year after year, due to his great evaluations. Paul has practiced law for the past 25 years. He spent his first five years representing automobile manufacturers and insurance companies, and the last twenty years representing consumers on a pure contingency basis. Paul has obtained verdicts and recoveries for his clients totaling over 3 billion dollars. He has, and continues to represent clients in matters involving catastrophic injuries, defective products, whistleblower litigation, class actions, professional liability cases, and business/commercial litigation. Paul is a frequent guest lecturer at Loyola Law School’s Trial Advocacy Class. He has lectured around the country about class actions, conflicts of interest, opening and closing arguments, and direct and cross examinations of both lay and expert witnesses. Paul is a member of the Consumer Attorneys Association of Los Angeles and Consumer Attorneys of California. Kelly Kolb, a Shareholder at Buchanan Ingersoll Rooney P.C., is our latest Featured Speaker! Kelly has defended employers against employment claims for over 20 years in state court, federal court and before administrative bodies and arbitration panels in Florida and Texas. Kelly uses his vast experiences to advise management on best practices and claims avoidance and to oversee internal investigations. He also works with clients in the construction, education, marine, healthcare, transportation, aerospace and electronics industries as well as public sector clients. “I know a lot more practical information about depositions than when I woke up this morning.”– Nicholas A. Marzuk, Esq. “I am preparing for my first depo and felt that [the seminar] gave a good overview.”– Amanda Allen, Esq. “This was a great way to get insight on taking good depos.”- Cecilia Barber, Esq. Very nice program and great speakers.” – Michael Shue, Esq. We are confident that Kelly will add a great deal of insight to this program. He spoke at our more advanced program last December: “Hone your Litigation Skills: Successfully Gathering and Using Your Evidence” and received terrific reviews. Kelly has been incredible to work with and has been instrumental to the planning process. We are looking forward to the upcoming program and to working with Kelly more in the future!